Sarah and Jason and I had such great plans for an outdoor session, and then October happened. Remember October? Rain 95% of the days, and ridiculous winds? Well, we had these engagement portraits schedule since we first met last winter, and there weren’t any times we could reschedule them for… So instead, we improvised. That’s what you do on bad weather days in Buffalo, right? 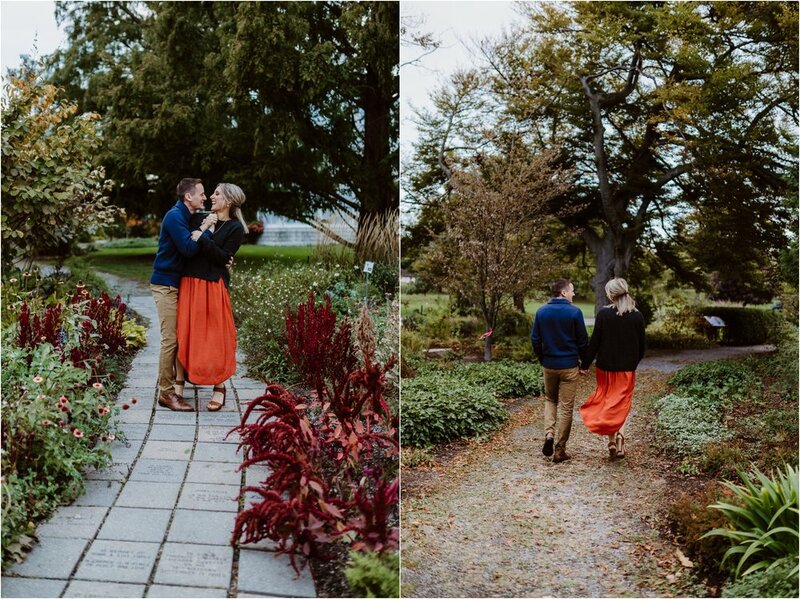 We ended up going to the Erie County Botanical Gardens, and having the place virtually to ourselves. It was amazing! Then there was Sarah and Jason, who described themselves as needing help posing… Except they lied. Their chemistry is amazing, and they fell into perfect posing every time I turned around! Plus, I am absolutely loving my new camera system (have I mentioned on here that I switched to Sony from Canon? Probably not, but I did, and it has been AMAZING. I’ll write a separate post about that). Every picture was my favorite. Because you can have more than one favorite, right?